Always remember that quilting has been done for hundreds of years and all the new gadgets are great. 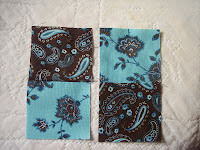 You can still do things very simply and fill your sewing closet with new innovations as your talent grows. No need to purchase a rotary cutter and mat your first time out. Take your time and enjoy. 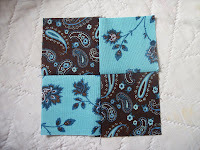 Hand piecing can be done too. 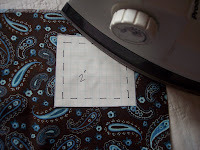 Everything is the same as a machine, but you hand stitch using the same ¼" seam allowance. 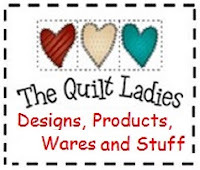 8)Basic sewing supplies, Scissors, thimble, sew riper, etc. 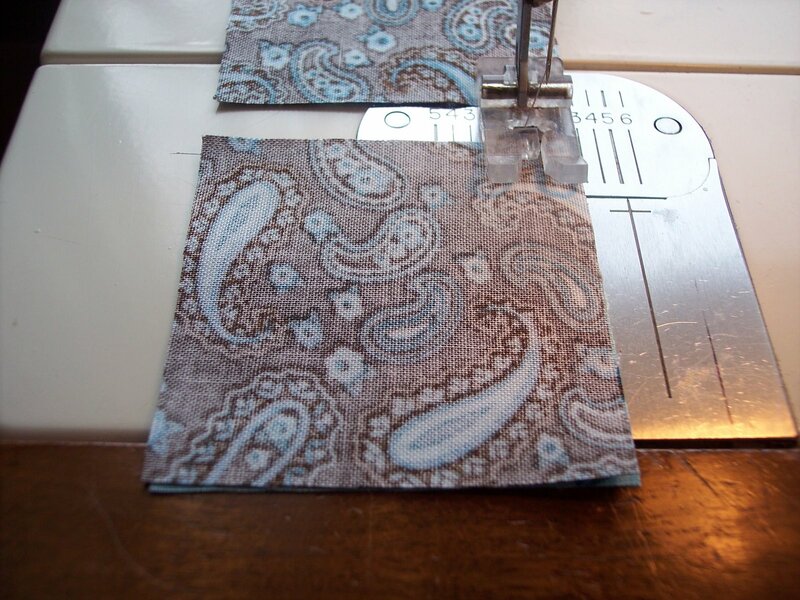 Fabric – The best rule of thumb is to purchase the best fabric you can afford. Always 100% cotton. Avoid loose woven fabrics. Wash cotton to check for color fast and iron if needed. 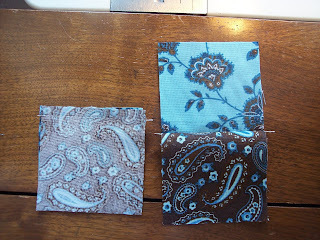 If new to quilting it is always best to start with a light and dark color. 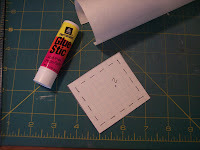 Cutting – Rotary cutter, mat and ruler can be used if you have them. 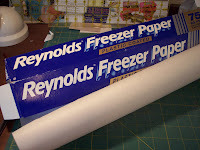 If you are new to quilting and are not sure you want to buy all these supplies try Freezer paper. It may be purchased at any grocery store. You will notice that one side is shiny, one not. With a glue stick. Paste the pieces to the NON-shiny side of the freezer paper. 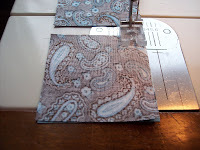 You can now iron the pattern to your fabric, shiny side down. This pattern can be used over and over. It will leave no film on your fabric. you may need to mark your machine with this measurement. 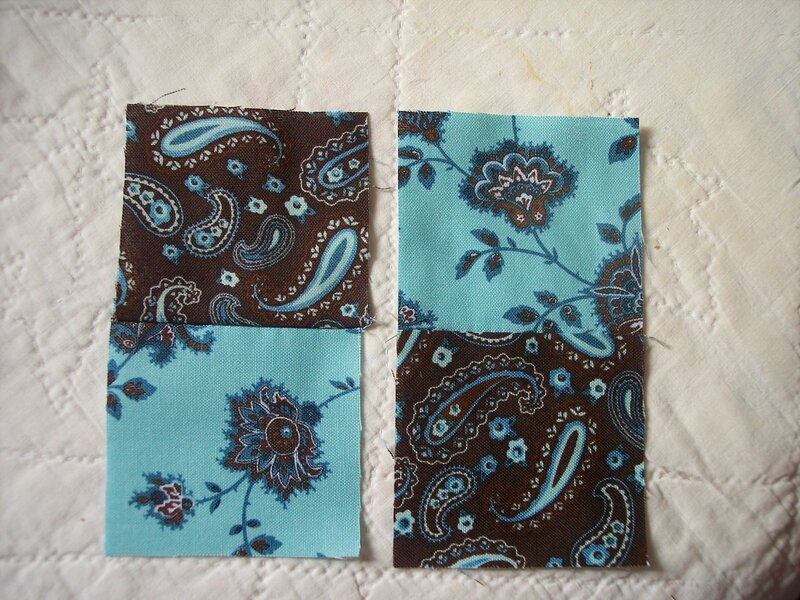 Watch your color placement, sew good side to good side.